First and foremost, I need to introduce myself. `My name (alias) is Archie, and i'm from an eastern european country. English is not my mother language, and also i'm not a car mechanic (quite the opposite actually). I'm a computer specialist, so in a way i'm technically inclined. But i'm not really used to terms and names of car repairing or car components (so please don't get upset, if i'll be trying to name or explain something in laymans terms in a foreign language - for me english). `This was actually the first information source that i came to (googled), after i purchased my first car, the Mazda MX-3. And as you can probably guess by now, not all went as i hoped it would (will get to this later on). Why did i buy a MX-3? The thing is i was looking to buy my first car, i had a really low budget so new cars came out of the question really fast. So i was looking for something second hand, that would be practical 4 doors (a sedan or a combi - stationwagon? ), wouldn't cost more than 2000 euro, and would be reliable (well as much reliable as a second hand car for 2k can be), and also wouldn't consume too much gas, cause gas prices in europe are astro-un-economical. So long story short: After hunting through the local internet sites, and a one-time visit at the local second hand car store (they didn't have anything that looked even remotely as a car under 2 grand...), i bought a beatiful blaze red MX-3 from a friend of a friend. What went wrong... so far. I hope i'm not loosing you by now. (I asked the owner if the vehicle was damaged in an accident he said that it wasn't). - 1.6L 4cyl DOHC? (or OHC?) - it says on the top cover of the motor block that its 16V DOHC, but the block seems strange... i'll post pics later. - No user manual, no service history, only the technical "ID card" with specs required by the state. - Probable date of manufacture 1/1994 - i paid for an internet service to get the year of manufacture from my VIN number, so it may not be absolutely correct. Ok, so now after this "small" introduction, lets get down to business. - Why would someone rip off the identification "tags" from the front seatbelts? (i was looking for the date of manufacture). - The rear seatbelts have a 1995 year of man; the rear right seatbelt doesn't work (will post pics later). - 3 out of 4 rims have "counter balance weights" added (5 spoke alloy mx-3 rims), probably vehicle accident damage? - The car has (or is supposed to have) 2 airbags (was one of the big pluses for me), i was assured they are inside and working, but there is no "airbag control light" on the dashboard. It's physically not there i looked with a flashlight. - I'm suspecting the dashboard was changed from some other car, it read about 158.000km when i bought the car (of which i'm now really doubtful after i found out about the missing airbag light). - I took it out with my finger nail and there were just two wires leading somewhere into the "middle tunnel". - And also on the drivers side of the handbrake, there is a mysterious black button, which doesn't seem to do anything. These are just a few things that come to mind, and i'll post other findings later, with pictures added (need to buy a digital camera, cause my phone camera is unusable). I would like to thank you in forward for your assistance. Right now i just need to calm down a bit, cause i feel ripped off. But i still love the car, and i'm hoping that with time i can change this horror show into a happy ending. And i would also like this worklog to be an inspiration for others, and also a caution to be careful. Ok Archie, first, welcome to the forum. Now, let's go to your questions. The VIN you posted is wrong. You have to check the 10th digit of the VIN. It will tell you the model year of your car. That 10th digit can NOT be an "I", "O", or "Q", so if what you posted is accurate, I'd report the car to the police, as the VIN tag may have been tampered with. 2. Now, look at your engine. Are the spark plugs in the side of the engine, or on the top, sank inside tubes in the centerline of the valve cover? If they're in the side, it's an SOHC, 88 HP engine. If they're in the centerline of the valve cover, it's a DOHC, 105 HP . The rims having balancing weights doesn't mean anything. Those weights are put there to balance the tire/rim combo, because as perfect a rim might be, tires are not, so every time you install a tire you need to counterbalance it. Every now and then, you find a set that doesn't need any weights, but it's rare. The easiest way to determine if your car has been in a crash is to look at the gaps between panels. Most of the times you will find inconsistencies in those gaps if the car's body has been repaired. And that's about all I can tell you so far. Post some pics. There doesn't seem to be anything wrong with your car. Counter balance weights on wheels is very normal. Tires are manufactured from many components or parts, and because of that, they need to be spliced together. These splices cause an irregularity in a section of the tire, causing it to spin off balance. Since the rim is totally balanced, you need to add wheel weights to the rim to counter the imperfect wheel. Leave the weights on. They're there for a good, normal reason. If you take them off, your car will shake at various speeds, and wear suspension components are tires out more quickly. 158.000 km sounds reasonable to me for a 1996. My 93 had 130, my 94 had 160, and my other 93 has 180. I'd also think you do less driving where you live, also. The little red diode and the mysterious black switch will be from an aftermarket alarm. The diode is simply an indicator, and the little switch is called a 'valet' switch. If you don't have the remote for the alarm, you can either tuck these away, or just ignore them. Uninstalling alarms is just as difficult as installing them. Don't feel ripped off. You've got a good vehicle by the sounds of it. I got my first MX with a blown engine, crappy body, and worn suspension and brakes. 1. The VIN is correct (i checked it like 10 times, last night at 23:50 i went to the car outside with a flashlight, cause its freaking me out). - also the car is an import from another country (in which it was imported from another country), as far as i was informed i'm the 4th owner of this car (and at least the 3rd country its in already). But the car was officially checked for "theft" by a specialised company that checks if the VIN, or anything else has been tampered with. I got the papers from the check (and special stickers all over the car), and it seems ok. Only gripe was that the country of origin was: unknown. The special check is needed to register the car officially in our country, it is mandatory and has to be done by a specialised firm. But this check was done abroad, but it is official. I will phone the company that did the check abroad during the week. (the seller who imported it last spring to my country - he was using it until he sold it to me like 2-3 months ago, and he gave me the papers from the "theft" check, but i didn't check with the company that made the check, cause it seemed to be legit (the papers and stickers all over my car). But as i said i will double check that with the company this week). it looks something like this. I was just curious about the empty screw holes on the left of the aluminium "DOHC 16" block cover, and i wasn't sure if u could just switch the top cover (i'm a bit paranoid right now...). 3. Thanks for the info on the rims. I wasn't planning on getting the balances off, just was curious why there were so "many". 4. Also thanks for the alarm info. It's better to know what it is, than to wonder "what does this button do?". 1st the VIN number, 2nd the Missing Airbag control light on the dash, 3rd i'm pretty sure that the car was crashed, cause the front has misaligned panels (the gaps don't seem to be correct, and also the front bumper has a darker color in the middle than the rest of the car - i will add photos later to confirm this) and also the front passenger side headlight assembly was glued with some blueish "something" while the other headlight is clean. 4th i'm afraid that the airbags are non functional, and also that the safety of the car is at stake if the possible "crash damage" was severe enough to damage the rigidity of the whole chassis. And i still don't really know what year of manufacture it is, or what is the country of origin. (i'm suspecting Italy, cause the keys to the car are made in italy - i don't know if they manufacture the keys locally in every country, or if they are from italy in the whole of europe...). Last edited by Archie on January 09 2010, 2:05 PM, edited 1 time in total. It can be overwhelming at first not knowing anything about how to fix a car, but that is where this forum can help. You sound like a savvy guy who is a quick learner, so I don't think it will take you long to catch on to some of the mechanical terms (everything takes practice). If you are truly motivated to learn and have patience, you will do fine and this will be a great first car for you! What country are you from and is your steering wheel on the left side or right side of the car? I went to the car and took a few shots with my Blackberry (its already night). This is the "Magic button". The metal sign to the left (mazda markings and etched VIN), to the right of the sign the VIN in the motor bay. Blueish goo on the headlight mounting. I'll get a normal digital camera during the week, and i'll make more photos, also of the trunk... there's more problems there, but photos will speak for themselves. And the country is Slovakia. It was imported from Czech Republic (the car was there for 3 years), and it was imported to Czech Republic from an unknown country. P.S: Also the reason i got to this site were the online manuals to the car. I couldn't find any better on the internet. I do google a lot (professional deformation - IT guy). you may want to contact Steve_SK he too is from the Slovak Republik and he has done a LOT of work to his mx-3's and is very knowledgeable (one of my good friends)... I wonder if you guys live close to each other?? So you definately have airbags and no airbag light... hmmmm I wonder if there just is no airbag light on Euro mx-3's? I have never seen the seatbelt light on a Euro mx-3 either I think that's an NA option only. If you car is newer than 1994 (which all evidence supports, including dash style) That is the stock motor. No one swapped the valvecover, because there isn't another motor with the same head. They're all B6DE's. The cluster may very well have been swapped from a non-cruise car... but if they went to that effort, it would take 5 extra minutes to wire the airbag light back in.... Maybe someone here can ship you the panel with the airbag symbol, you can put the bulb in, and its all fixed. Its possible the headlamp was taken apart and re-sealed. I wouldn't sweat about that, unless the lens gets foggy on the inside. Why are you so concerned about the seat belt tags? I never would have thought about that. The car is pretty safe. I put mine like this at 100km/h in the ditch and came out without a scrape, with no airbags. Not really an excuse for you to stop checking things out, maybe just some reassurance. Last edited by Ryan on January 09 2010, 3:28 PM, edited 1 time in total. The seatbelt light is probably US-only, but there should definitely be an airbag light. Ok, i'll send him a message. Thanks for the info so far, you are very helpful. And i'm a lot more calm, now that i have experts to talk to. Ryan: I just don't know why would someone rip out the identification tag from the front seatbelts? The seatbelt tags contain the year of manufacture; which i'm still in the process of verifying. Your RPM gauge redlines at 7000 RPM. Since you're car is 94 or newer, the cluster has a digital speedometer cable, and could only be exchanged with another B6DE cluster, or a GS cluster. 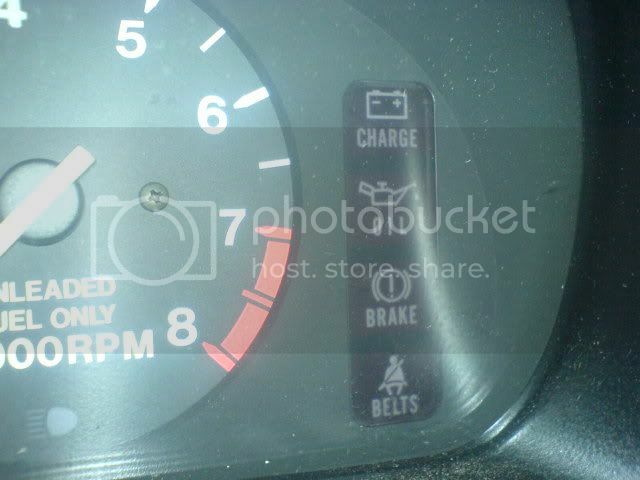 Since the B6DE redlines at 6.5k, your cluster is from a V6 MX-3, where any year is possible, air bags or not. I don't know why someone would remove the seatbelt tags. Do these cars some with optional automatic seatbelts? Maybe manuals belts were swapped in, and the tags removed so there was no confusion on conflicting years. You're more savvy than me, and I grew up as a mechanic. When I bought my MX-3, I just looked it over, drove it, got a Carfax, and bought it for ½ of what they wanted for it. It sounds like you got a good car. 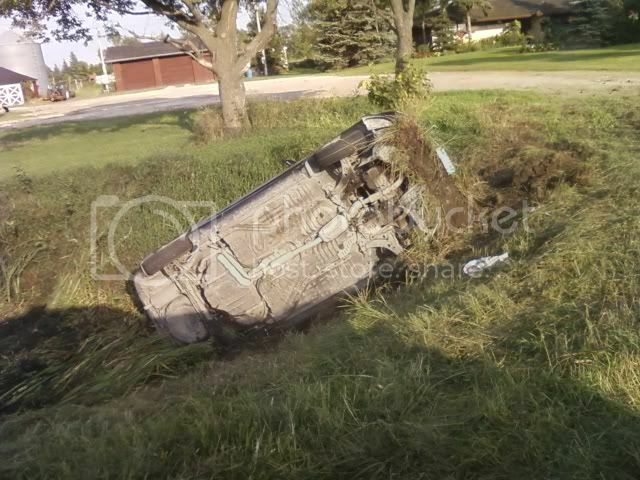 A front collision is common for this car, and they probably fixed it without reporting it. If you know someone who knows what to look for, have them look for any damage in the front end. I would bet that there's no real damage. I don't know about the seatbelt tags. I never looked at mine. It's great that you're on top of it. You should ask your friend all these questions. If he's honest, he'd easily answer them. So the cluster is probably from a 92-93 "airbag-less" V6. Digital cluster; does it at least show the correct RPM with the current motor? There is a sticker on the door (chassis under the lock) passenger side, but it looks like somebody tried/did take it off and re-sticked it to place. I only checked the VIN number on it, and it was the same. Will have a thorough look at it in the morning. I was also looking for the VIN on the dash under the front glass, but i didn't find it. (the seller told me he had the glass replaced because a rock hit and damaged the previous). I'm not aware of any cars in europe, that have automatic seatbelts i think they were available only/mostly in the US. The only thing i can think about, somebody ripping out the tags is either: The front belts came from a different car and the seller/or previous owner didn't want anyone else to find out. Or they were original, with the correct year of manufacture, meaning that the rear seatbelts are from a different car (they have tags on: with a year of manufacture 1995) and he wanted to cover up the real year of manufature of the whole car (or most of it). It was a friend of a friend, and he is in australia right now (that's why he sold me the car in the first place, he needed money for the travel). And that's probably why he didn't tell me about all the strange stuff in the car, because he didn't want to scare me off (i'm a first time car buyer, and i can tell you that i wouldn't like it that much. Knowing in what condition the car is in reality. I would still buy it (i love it to bits), but not for 2000 euro...). So i do understand his reasons, but thats why i feel ripped off. I was "buying" a 1996 MX-3 in very good condition and non-crashed, and he was "selling" it to me like that (well at least the illusion of that)... but the truth is somewhere else. My main concern about the whole car is: Reliability (because i use it daily to travel 50km to work and another 50 back home) and Safety (mainly because of my girlfriend; thats why i need a safe car, with reliable and working airbags). And once again a big thanks for all your input. 1. VIN number is correct, at least it looks like correct, anyway if Archie would provide me the full VIN number, I can check when the car was manufactured (exact day), what colour it should be, extra options, SRS etc.. and country where it was originally imported from Japan. EU VIN's are different to US VIN's. 2. 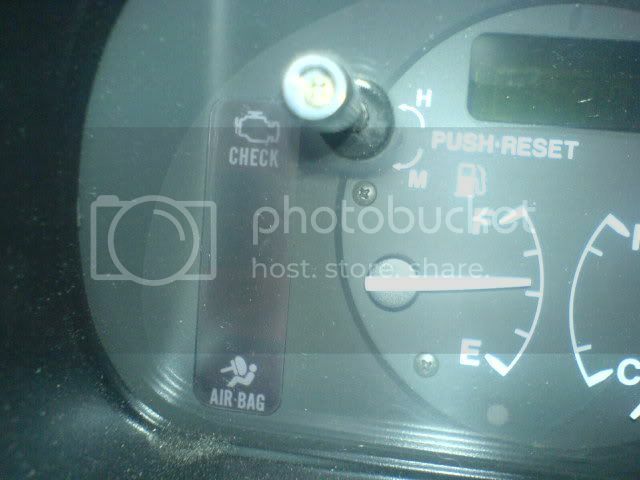 Airbag - as far as I know, EU models don't have airbag light on dashboard, but I can be wrong. If you'd like to check airbag system, you can do it using your Diagnosis connector under the hood (if it is OBD I). If there's something wrong with seatbelts.. maybe someone crashed the car, airbag deplyed, former put a new one there, new belts, but didn't wake up the whole system back to life, so he swapped instrument cluster just not to show there's something wrong with the SRS. 3. Balanced wheels .. I had the same problem for a long time. After two years and numerous wheels' balancing, changing suspension elements and brakes, I found out the problem were my tires. Exchanged Matador for Bridgestone and everything was perfect since then. 4. Archie, drop me a line on mx3eunos@gmail.com (Z ktoreho si mesta? Mozno byvame blizko seba a nevieme o sebe ) Ked budem vediet, tak ti rad pomozem s problemami, ktore mas. Aj by som rad videl tvoju MX, nazivo som este DOHC-cko nevidel, iba SOHC. PS: I was building my K8 engine today, it looks absolutely perfect! I am very happy. 1. Ok i've sent the VIN and some other details about the purchase of the car to Steve (which was easier for me to explain in slovak). 2. This is exactly the thing my brain was directing me to. Hopefully its not the case, most probably is. So i just hope this can be remedied (and not cost an arm and a leg). 3. The car was sold to me with some Winter Pirrellis (and no summer spares), that according to the seller were on the car the whole summer. Last week i was in a tire service (because a screw punctuated my front left tire), and they said that i should throw out the tires after this winter (which was exactly what i was planning to do). P.S: Would love to see (and hear) that K8. Now you're in the best forum on the net. You can make your car as safe and reliable as you want. Just start asking questions.